The Gettysburg Foundation’s partners, Aramark and Event Network, join in the conservation and environmental sustainability efforts in their operation of refreshment venues Museum Bookstore. Restoration of nearly two acres of wetlands during construction of the Museum and Visitor Center treat our site’s storm water. Our natural landscaping helps preserve the Chesapeake Bay Watershed by filtering the storm water in three wooded wetland areas on our grounds. Storm water runoff is also minimized through the use of underground storage basins that eliminate runoff throughout the complex. Native and drought-resistant plants and landscaping techniques eliminate the need for irrigation. We also conserve water through low-flow toilets and faucets throughout the facility. When the Museum and Visitor Center was constructed, more than 35% of the building materials were manufactured locally and regionally, and recycled materials were used wherever possible. Existing timber, such as 100+ year-old wood from a local barn, was used in construction of the building, further reducing our environmental impact. Black granite from a regional quarry and external granite pavers from local producer, Hanover Architectural Products, were used in construction of the building, reducing impact from transportation of materials. Landfill impact was reduced 75% by diverting metal, cardboard and wood construction waste to a recycling center. Volatile Organic Compounds (VOCs) emissions were reduced by selecting and installing carpets, glues, vinyl and paints with less chemical off-gassing—the emission of an especially noxious gas released from chemical-based ingredients used in the manufacture or installation of building materials. The Gettysburg Foundation adopted a facility-wide recycling program, and motion detectors turn off the lights in rooms when not in use, to help conserve energy. Aramark operates the Refreshment Saloon, Battlegrounds Café and Snack Attack, and is committed to environmental sustainability. In addition, Aramark eliminated the use of Styrofoam and uses napkins, clear containers, plates and cups made of certified recycled materials. Event Network, which operates the Museum Bookstore, is also committed to environmental sustainability. Event Network is proactive in seeking suppliers that support conservation and sustainability initiatives and practices, sourcing products that minimize damage to the environment and promote environmentally sustainable manufacturing processes. They have reduced single-use plastic packaging, and replaced plastics with recycled/reusable materials, sourcing materials and components that are environmentally friendly and reduce energy consumption. Event Network is expanding and introducing new, measurable green best practices and their team members use the Reuse, Reduce, Recycle mantra every day in making decisions about operations and the use of materials to support conservation efforts. 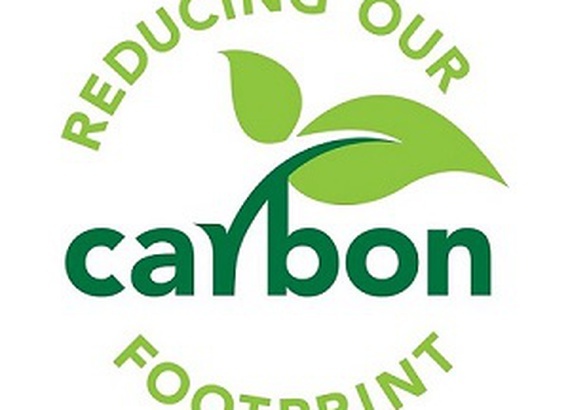 Find out more about how you can live “greener” and help reduce your carbon footprint.